The Primary block reverbrates with the energy of each Despite. The class rooms are well ventilated and naturally lit. The design of class rooms reflects positive energy. The curriculum is planned in a manner which gives equal emphasis to academics and co-curricular activities. Each class room is well equipped with audio-visual aid and is supported by interactive smart board which makes teaching learning interesting and widens the spectrum. Music, Art and Dance add a new dimension to the youngster's personality. Classical musical and dance, percussion and string instruments, drawing and painting provide opportunities of developing creativity and expressing individuality. Technology aided learning, through smart boards, provided in each classroom to reinforce and clarify abstract concepts. To provide stress free environment to the students the school has its own fleet of the buses managed by an expert professional staff that ply on major routes. We provide better and sharp conveyance transportation facility through our buses to bring the students from different corners of the town and periphery areas. This bus facility is optional and can be selected only for once in a year.The School provides the children with an excellent bus facility which has routes that cover the whole Khargone city with stopage at regular intervals. The school's fleet of 14 buses criss-cross on routes covering the entire city. Reading is the key to good comprehension, imagination and expression. GPS aims to stimulate the enjoyment of Books through a well furnished Library complemented by an extensive collection of reference and fiction in paper form. In today's fast changing world, readiness with rapid scientific and technological transformation is crucial for every child. Information is the heart beat of meaningful learning. A Computer Lab with internet facilities ensures that the students are provided with the latest technology. Music is the melody of life which prepares to face the risks in life. To prepare our students for the same we with more than Thirty music instruments, provide classical and western musical training to the students. The school provides exposure to students emotions and feeling by involving them in art and craft activities for their all-round development. We have a separate Art and Craft hall wholly devoted to students to explore their hidden talents of creativity and imagination. It also develops concentration power. The vast expanded lush play ground for games and sport which will set a standard to assist our students to nourish their physical fitness. The well maintained playground spread in more than one lac square feet with different courts for different games and sports. We run club different activities for students. France based technology with inbuilt water filters Swimming pool has international dimension 25m in length and 15m in width with starting blocks. We also maintain crystal clear water 2 to 3 PPM of chlorine and pH 6.8.Our changing room are very hygenic .This is the facility given for the school children's. We are using the latest software technology to teach our students by displaying it on the smart board it is a unique concept for teaching children. it is very easy for the students to understand the lesson and others things. Don't just Learn Science, Apply it! A unique curriculum-integrated Science programmed for the schools that enables the children to not only understand concepts easily but also use this knowledge to create their own inventions. Dance is the art of movement of the body, usually rhythmically and to music, using prescribed or improvised steps and gestures. "A dance" is any one prescribed sequence of such movements, or the music to which it is performed. We teach classical and western dance to the students. 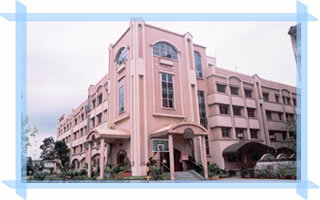 GPS has well equipped maths lab which gives the fruitful result and students learn themselves by doing experiment. The maths lab seeks to develop each student's ability to understand and apply mathematical principles and knowledge through tutoring, resources and programs which are offered in a relaxed, friendly atmosphere. The maths lab in drop in study space dedicated to helping students develop their learning skills, mathematical abilities and to reduce mathematical anxiety. The maths lab is great place to work on any topic. It makes the subject interesting which is full of research work.